How do we assess the public sector with regard to decentralization, intergovernmental relations, and the role of the local public sector? 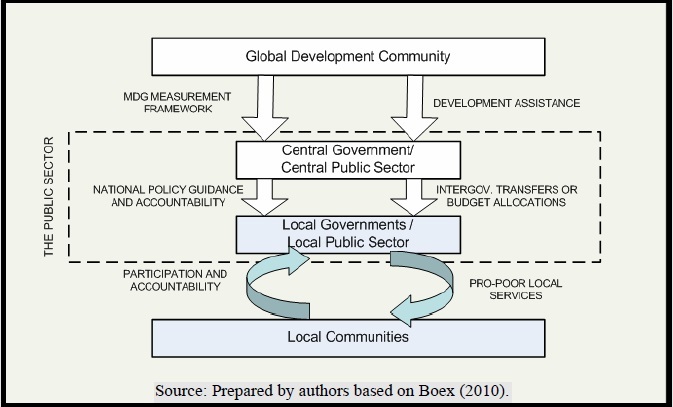 To answer the question, the paper from the Urban Institute Centre on International Development and Governance (IDG) (2010) proposes a comparative decentralization assessment for rapidly assessing a country’s local public sector, including its political-administrative structures, its system of intergovernmental relations and the financing and functioning of the country’s decentralized local governments. 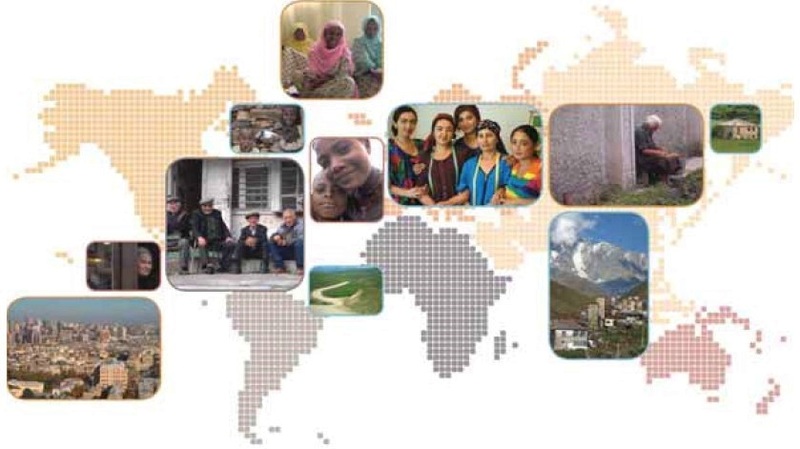 In line with decades of writing on the topic, the framework uses three main technical dimensions of decentralization: political, administrative, and fiscal decentralization, and recognizes two main actors in achieving decentralization which is empowerment of people: the central public sector and the citizens themselves. The local public sector lies between them. The table brings together technical and institutional dimensions in a three-by-three matrix that presents a visual representation of a convenient decentralization assessment framework. For each of the cells in the matrix, the question should be asked whether the respective institutional actor(s) are supporting a well-functioning, decentralized public sector with respect to the relevant technical dimension of decentralized governance. Do local governments have the right degree of authority and autonomy in their administrative processes to deliver local services? Do local governments have the right degree of institutional capacity? So, what are similarities and difference with our Participatory Local Democracy (PLD) Index? We made score cards and ranked 35 countries in our first 2013 State of Participatory Democracy Report based on five major dimensions and 15 total subcomponents. The survey was organized in two parts a) the legal structure and b) the perceptions of implementation to measure a gap between legal structures and the reality on the ground. Each component was translated into a multi-part, multi-choice survey question. Both are good to provide a big picture overview of the current situation of decentralized local governance and abstract away from numerous contextual characteristics such as country’s history, center-level politics, geography, culture, or religious composition. Moreover, they both adopt traditional three dimensions of decentralization: administrative, political, and fiscal, and include citizen component in their assessment. While our PLDI considers local governments and citizen as main players to create participatory local democracy, the assessment framework considers stakeholders at three different government levels: 1) local governments, 2) central government stakeholders, 3) civil society and the private sector. The framework requires an assessment of whether the central government level and the community level, respectively, have the right balance of discretion and accountability because the ineffectiveness of the local public sector is often caused by poorly designed intergovernmental systems or by central government agencies. Another different characteristic to our PLDI is that the assessment framework does provide a solid framework for mapping development partner interventions and analyzing their contributions although the framework does not explicitly incorporate development partners as a fourth institutional pillar. The paper suggests mapping development partner activities in the same way as the main assessment matrix: donor activities can be mapped by technical dimension of the public sector, as well as by which government level is engaged as part of the project or activity. This mapping provides a visual display whether their activities are concentrated in any particular dimension of decentralized local governance, or if there are duplicative development partner projects. The framework reflects that the pursuit of decentralized local governance reforms should not be considered a narrow niche within a governance program or within a public sector reform. The recognition of the important role of the local public sector and the ability of the global development community is important to better understand and enhance the effectiveness of the public sector, thus crucial for progress on global development agenda. *You can read the entire report about the analytical framework here.